excellent service. the hot tub and gazebo were brand new and spotless. Paddy is a gentleman to deal with. A top class service. I had the pleasure of having a hot tub out for the last 10 days on the lead up to a wedding. Paddy was extremely professional and efficient in delivering his services. He provided us with a gazebo, drinks table and a Bluetooth led speaker which altogether created such an amazing and relaxing experience. It’s a package that can’t be turned down.....we had so much fun and I will definitely be getting it again in the near future. I just want to thank you Paddy for everything and I wish you all the best of luck for the future. Rebecca offers a first class painting service with an extensive portfolio of artwork for your children to choose from. 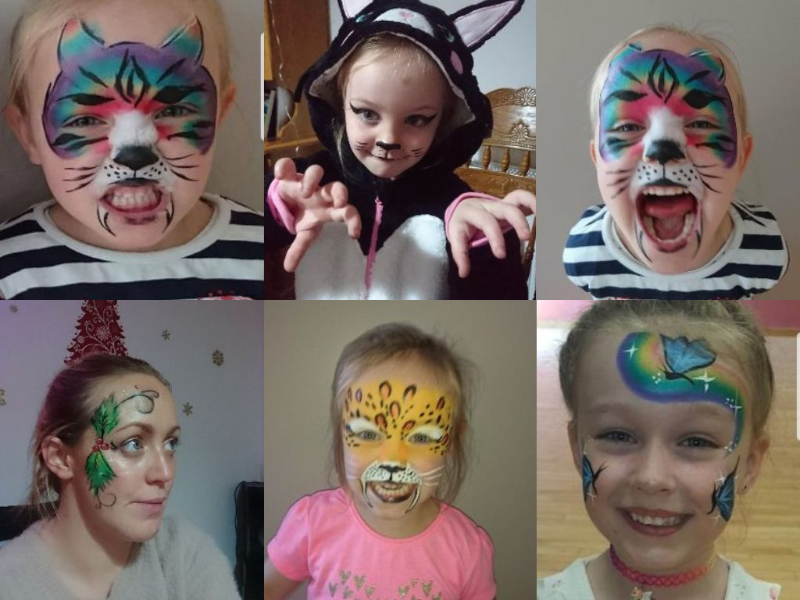 She is highly recommended and has a natural talent catering for the children and facepainting. Border Bouncies © 2018. All Rights Reserved.